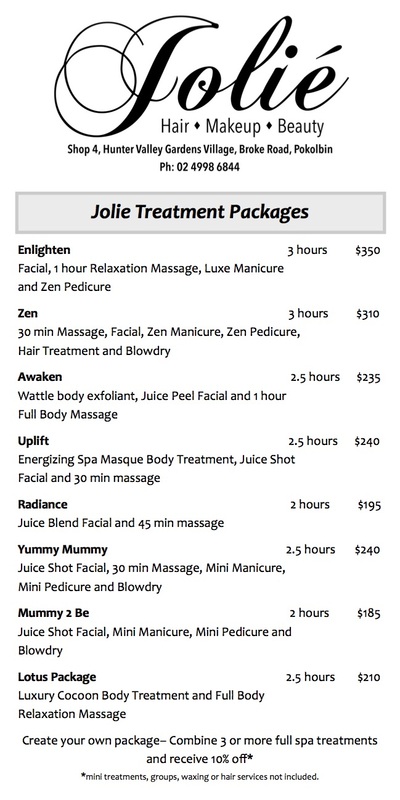 Whether you’re after a little trim or a completely new style, Joliè Hair Makeup Beauty has you covered. Work with our hair specialists to create the exact look you have in mind. 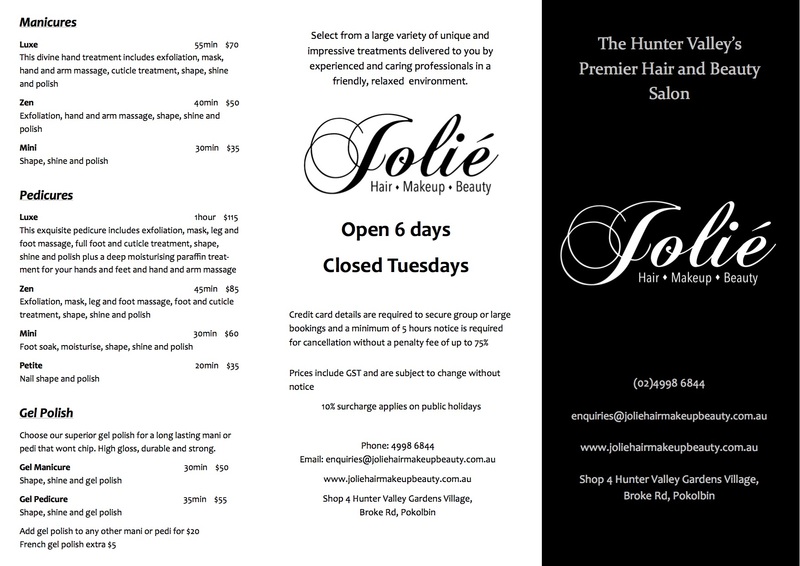 At Joliè Hair Makeup Beauty, we pride ourselves on our hairdressing, after all we are the Hunter’s premier hair and beauty salon. When it comes to styling, this is no exception. 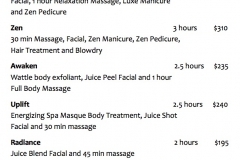 Whether you have the picture of that perfect style or you work with one of our professional stylists, we are positive you will leave our salon with that flawless do for any occasion. 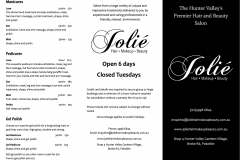 If it’s a fresh colour you’re after, then look no further than Joliè Hair Makeup Beauty. Our friendly hairdressers work closely with you to find the look you’re after and create that flawless finish. 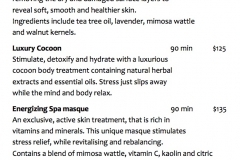 All services start with a one-on-one consultation with your professional stylist, and finish with personalised home hair care advice to help you maintain that fresh salon look in between visits. 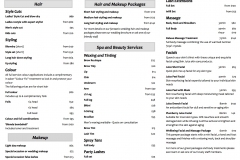 All ladies cuts and colours include a complimentary shampoo, scalp massage and style blow-dry. All full service colour applications include a complimentary in-salon “Colour Fix” treatment to lock in and protect your fresh colour. 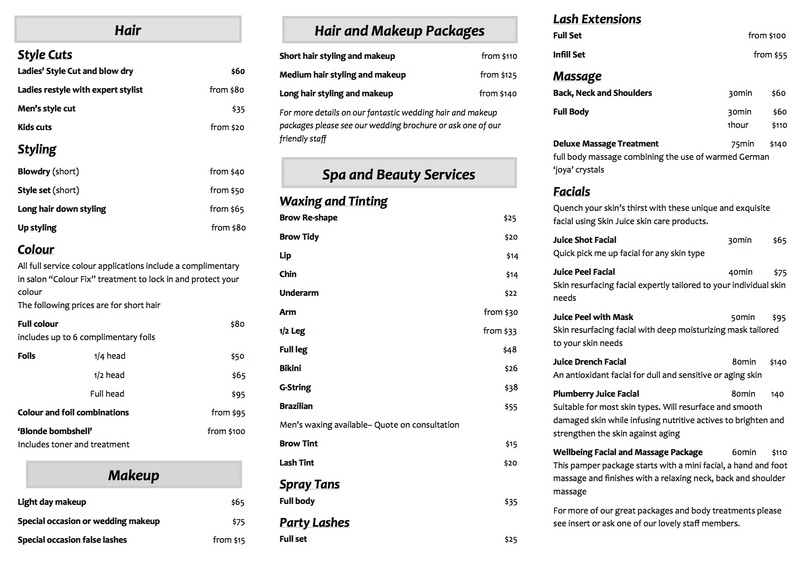 Please note, the following prices are for short hair, long hair prices may vary. 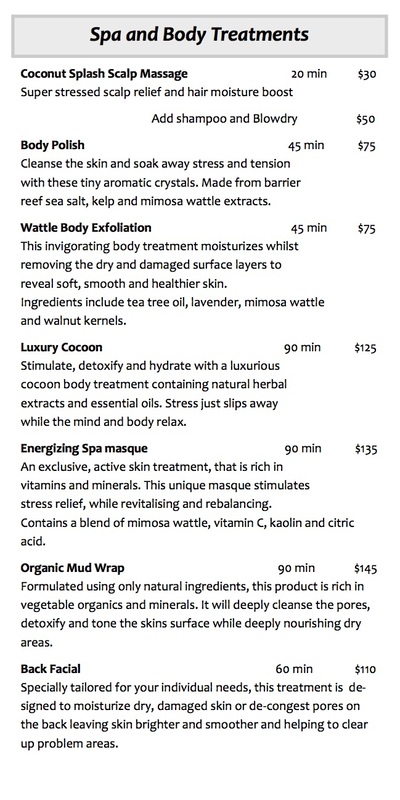 For service descriptions and more treatments and packages, please view our full service menu and price list below.